Preheat oven to 350°F. Spray a 9x5-inch loaf pan with cooking spray. In a medium bowl, whisk together the flour, baking soda and salt. In a separate large bowl, beat the sugar and applesauce with an electric mixer or by hand until well blended (about 1 minute). Add the eggs one at a time, beating well after each addition. 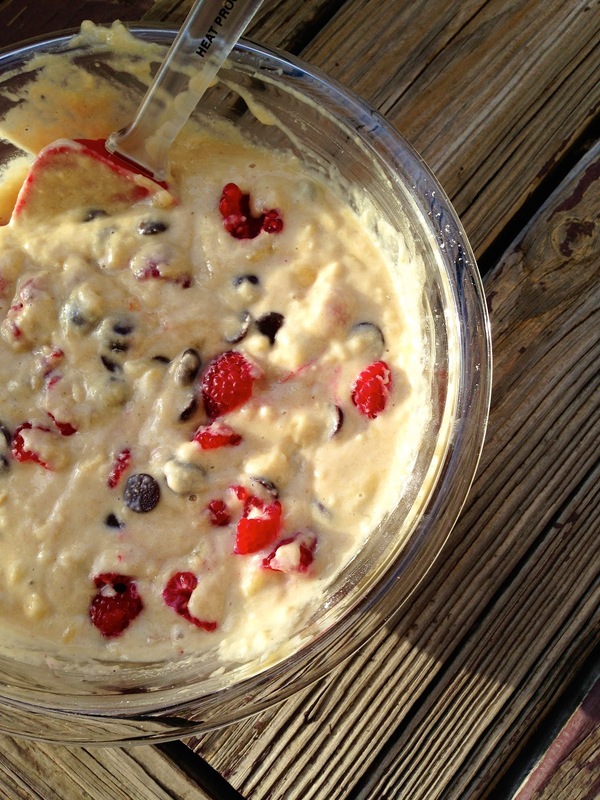 Add the banana, yogurt, and vanilla. Beat until blended. Stir in the flour mixture, just until moist. Don't over-mix. Stir in the chocolate chips and then gently stir in the raspberries. Spoon the batter into the prepared pan. 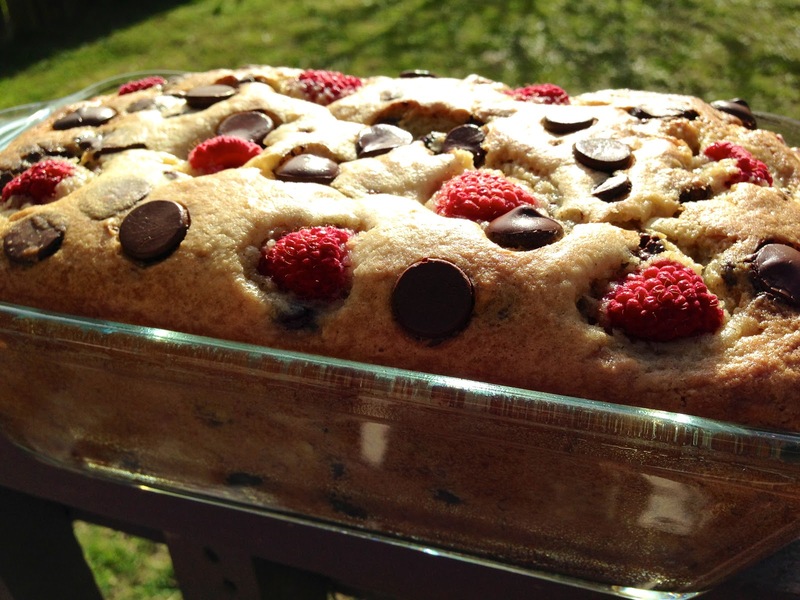 Sprinkle a few additional chocolate chips and raspberries on top of the loaf. Bake for 50 to 60 minutes or until a wooden pick inserted in center comes out clean. Cool 15 minutes in the pan on a wire rack. Remove from pan and cool completely on the wire rack.